Kristen wrote . 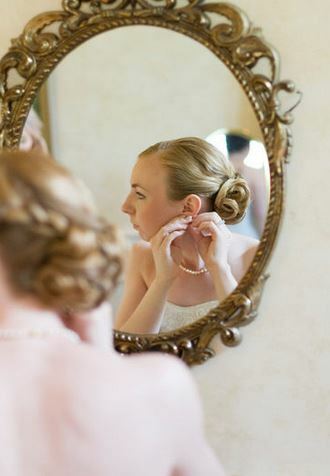 . . Carolyn is incredibly personable and made sure I had nothing to worry about the day of my wedding. She came to my home to go over final details with my now husband and I and made sure we were comfortable with everything. She contacted all of my vendors for the ceremony to make sure everything was set to go and really made it very stress free. The day of the wedding she made sure everyone who was supposed to have flowers (like grandparents and parents) received their flowers and helped pin them on the guys. 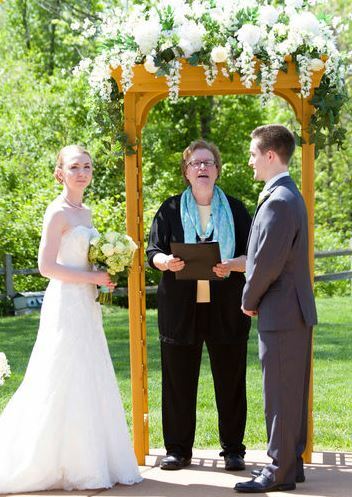 Our ceremony was flawless and I know it had a lot to do with Carolyn guiding us along.